This is a teenage book, but equallly readable for Adults. The book is "written" by the main character, 15yr old Christopher who has autism. It's a 'murder mystery', but the narrative really focusses on Christopher's discoveries about himself and his parents. The style and structure of the book reflect Christopher's intelligence and his difficulty in understanding the feelings of others. Brilliant, moving and full of Maths (which I didn't understand)! I got the book from nice-cup-of-tea. I plan to release it very soon. Seems that somebody is wating for it. It's a nice and easy read. Great book for both children and adults. A nice window to the mind of an autistic person and a great opportunity to think about how human mind works. At some point, you might get irritated by the mechanical way the character treats minor details and important things equally. Also the way he sees the world might appear sad to a normal person. What a great ability to be "stupid" sometimes! What a gift not to observe everything! What a pity not to be able to hold one's mom's hands! At the same time it's very touching to see the straightforward rationale for a behavior that might seem completely absurd. A great lesson of tolerance. Got my copy back from Give-me-a-break! This was our book last night (March 24th 2005) @ Zurich City Book Group & we had a great discussion about parents, love, behaviour, children, education & maths. A central argument was about the reactions of Christopher's parents to his problems - why did his Mother leave? Was she selfish? Could see just not cope? How could the father kill a dog? Was that his outlet for his anger and rage at the situation? There were no easy answers, but it was certainly a good book choice! This book is about the 15 year old Christopher who wants to investigate the murder of Wellington, his neighbour's dog. Christopher is different. He can distinguish between happy and sad faces, but everything in between is difficult to classify for him. He loathes the colours yellow and brown, he is very good at maths and he can't lie because he can't imagine a situation that isn't true. It's difficult to describe this book because it's so special. For example the order of the chapters, which isn't 1, 2, 3 but prime numbers. Or that Christopher tends to end up somewhere totally different from where he started when he tells a story. I think Mark Haddon did a great job in writing this book, because I can really believe that Christopher wrote this story, I can hear him talking and I can imagine life as a boy with Asperger's. 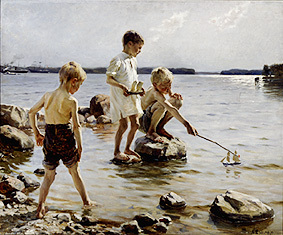 A boy whose favourite world would be a world without other people, so he didn't have to meet any strangers and where he could just do as he likes. My favourite quote of the book is Christopher's definition of love: "Loving someone is helping them when they get into trouble and looking after them and telling them the truth." I enjoyed reading the book and I loved discussing it at my first bookgroup meeting. This is going on a secret RABCK journey to the UK, to a fellow bookcrosser who has just completed all her academic work and handed it in, and who deserves an unexpected book and a nice cup of tea! Keep going on yours and you'll soon feel fantastic too. Oops I never wrote a review for this and it was about 2 months ago that I finished it so sorry its a one sentence review. I enjoyed the book and found it much easier to read than I expected. Anyway as a thank you to nice-cup-of-tea who sent me this book I have organised for it to go out on a ray so hopefully you'll get lots of nice journal entries (fingers crossed they're better than mine). Sorry guys for taking so long to get this together. Arrived this morning, somehow I must have signed up for two rings on this book. Will post it on to the next person today. Really enjoyed it. Really good, and really clever. Though the entire book is narrated by Christopher, you work out lots of things (not least, what's really going on with the dog) before he can, due to his inability to understand other people and relationships. At the same time, he notices all the little details of the world that aren't usually considered relevant. So easy to read, I felt as though it was a really simple story, but it's absolutely tragic in places. Because Christopher is so frank and unmoved, I just went along with him, and then realised late how sad some events he describes are. I really felt for his Father at the end. I received this in the post today. I'm really looking forward to reading it after hearing so much about it. I have a couple of ray/ring books ahead of this one but will try to get to it as soon as possible! Firstly, I apologise for not getting to this book sooner but I suddenly faced an onslaught of books from rays all at once. I did enjoy reading this book for the most part, though I'm not sure if I agree that it's as good as all the hype made it out to be. It was a very sad story, which is to be expected, and it gave a lot of insight into autism, but I finished the book feeling that a lot of things were left unresolved. I found this to be a bit disappointing. Still, this made for an interesting read. I received the book yesterday by post. It seems very interesting. I'll read it soon and pass on to the next reader. Thank you! I liked the way in which the author describes the thoughts of Christopher. It reminds me of a tv-program I saw a couple of years ago. In that program a Canadian autist told about her life. She was able to work and and make a living and she was living independently. But in many ways she was still experiencing the world like Christopher does. It is difficult for us to understand how it really feels to see the world that way. Neschka got the book from a friend. I'll try the next one in the ring or ray. Posted to Brendion last week. This book was easy to read, and with the different style of chapter numbering, it really felt as if you were flying through it. I enjoyed the perspective of the book, the maths illustrations, and the insight it gives into how people with Asperger's Syndrome see the world. I also reflecting on whether I also enjoyed maths (and science) because it is safe and there is always a straightforward answer to problems in the end, which is in contrast to life, in which there is not always a strightforward answer to problems. Have contacted Areir. Will send it as soon as I have an address. What should I do with the book? Should I find more participants for the ray? Or wild release it? Or send it as a RABCK? Anyway! I'll read it first! I really enjoyed this book but most of all i liked the young boy with the strange thought! 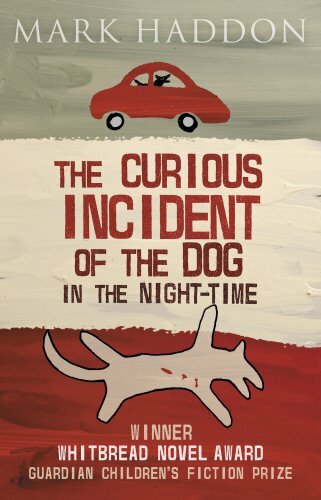 I'm starting a bookray for The Curious incident of the dog in the night- time. 1) Journal to let us know it has arrived. 2) Try to read within two months, or let me know if there are problems. 3) PM the next on the list for an address and make a journal entry to tell us all what you thought of it. I had receive it from eirini1, on a ray. After reading the book, I felt that sometimes we are just like Christopher, stubborn, have our fixed set of rules. Yet, he is flexible despite that he do not like a 'certain' color, he needs to hold on to his train ticket. I myself had discovered with Christopher too. We just need to give and take, look beyond. Look at the cars is it a good day or black day today? WOW! I can't believe this book I now have has gone through so many hands, been read & discussed by so many people the world over. I've never been part of a "book ray" before, and don't really know how this works. I got the book via post thru BookMooch.